Only the bling is missing! Did President George W. Bush flash his grill and a gang sign for this pic? Not really. It's just a little school spirit. 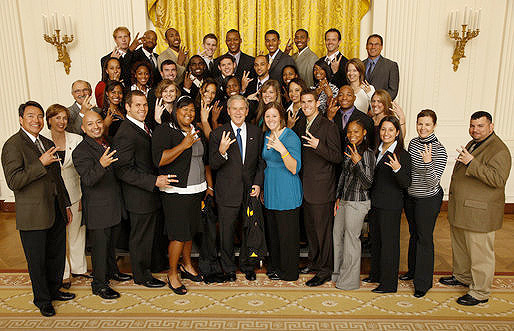 The Prez and Arizona State University's track team flashed the school's pitchfork hand gesture during a 2008 NCAA Sports Champions photo op at the White House.